Okay new theory. The character of the Author was created so the entire concept of continuity could be thrown out the window. And if so, it’s all our fault. We meticulous fans tried and tried to make the timeline make sense and when it didn’t we asked why and the showrunners got tired of that so BOOM, the Author — who is really a whole CROWD of authors — can not only write stories he can rewrite stories so anything we might think of as a continuity error or retcon is really poetic license! The not-dead Maid Marian Emma brought back to the future at the end of last season — and who then spent most of the first half of this season in an ice coma courtesy of the Snow Queen — is really Zelena – Regina’s older sister the Wicked Witch dedicated to taking away everything Regina has because no one on this show knows who they should really be angry with (except Emma! see below) who Rumple killed in cold blood while she was in jail, only I guess not actually – in disguise as not-dead Maid Marian. 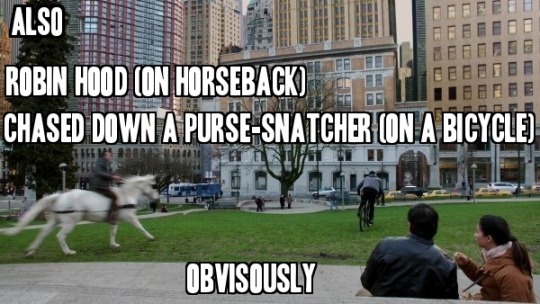 If we believe Zelena, she snuck in while Emma and Hook’s backs were turned, killed the real not-dead Marian and used her own Oznian necklace of glimmer glamour disguise that Robin conveniently stole from her castle and gave to Marian sometime ago to pretend to be not-dead-now-dead-again Marian and go back to the future to screw up Regina’s life (at least Zelana retains her priorities?). HOWEVER, all that insanity is revealed AFTER Rumple absconds with the Author and a magic quill capable of rewriting stories and the only way ANY of this makes even the tiniest wee bit of sense is if he got the Author to write it in after the fact. Because it is CRAZYPANTS. So, what else happened this episode? In the distant past: former thief Robin of Locksley and Marian (the real one who is not yet dead) own a tavern. But business is bad, or else they are bad at business, and they can’t pay their taxes. So Robin goes to Rumplestiltskin because of course he does. Rumple agrees to help save the tavern in exchange for a magic potion stolen from a Wicked Witch in the land of Oz. Robin thinks that’s a much better use of his skills and time than joining Little John and the rest of the Merry Men in stealing from King Midas (previously established to be a bad guy and LJ’s plan is pretty much exactly what Robin does in every Robin Hood story but whatever!) and heads off to Oz through a portal that is literally a curtain. The ease of cross-magic-kingdom travel is really reaching levels past absurdity considering the whole plot of the series rests on Rumple’s inability to cross-magic-kingdom travel to his son. But whatever! 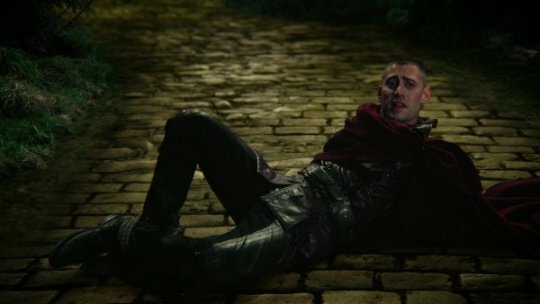 In Oz, Robin comes across he who we know as Will Scarlet, also the Knave of Hearts, and since he is randomly in Oz with a broken heart probably also the Tin Man and since his sister fell though through the ice and died, probably also Jack Frost (has anyone started a betting pool on who in town and/or related to Henry is secretly Will’s not-dead sister?). Anyways, Will thinks the heart potion sounds nifty so Robin agrees to get some for Will as well as Rumple. Unfortunately, Zelena catches him in the act and he’s only able to steal one portion. At first he lies to Will, saying he failed to get any potion. But after Will compliments his honesty and nobility and then reveals the real reason he wanted it – Will wants to take the potion to forget the pain of his sister’s death — he leaves it with Will. Robin returns to the tavern empty handed, but turns the tables of the Sheriff, steals the tax money and gives it to the poor, and thus is a legend born. Robin: I got you a present. Marian: Is it an Oznian necklace of glimmer glamour disguise that will enable your other true love’s evil and envious older sister to pretend to me after she murders me? Marian: I am so much better than this storyline I can’t even begin to explain. In the near past, Robin and Marian move into Neal’s empty apartment, having got the key from Regina and I look forward to the fanfics that explain how she has it. Their marriage is somewhat less than despite Robin’s best intentions and Zelena’s worst. But I’m jumping ahead again. Rumple shows up intending to move into Neal’s himself but when he tries to throw the Hood family out, he suffers a heart attack. Turns out he needs a magic potion to get better. Because reasons. In a shocking coincidence the potion he needs is the same one he asked Robin to steal in the distant past. Robin agrees to try again and breaks into Wash-the-secret-monkey-secret-Wizard’s furniture shop. 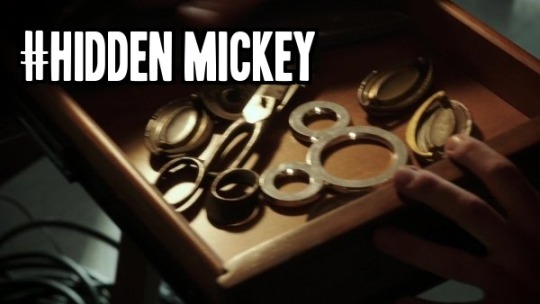 He gives the potion to Rumple on the condition that his family can keep Neal’s apartment and never see Rumple again. Rumple agrees because he’s dying…but the potion doesn’t work because Marian switched it out for cough syrup. Rumple thinks that’s way harsh Tai but “Marian” is really Zelena so she considers it retribution. Zelena goes so far as to let Rumple’s heart stop but the hospital staff bring him back with the magic of medicine. Now Zelena hands over the real potion in exchange for — wait for it – the Author. When Rumple finds the Author, Zelena demands to get her happy ending. Since Zelena was “killed” and “Marian” was frozen for all the previous Author Exposition I don’t know how she knows anything about this…. and the fact that Regina, Rumple, and now Zelena independently used the exact same words to describe what they want from/with the Author means my theory that the Author is concurrently rewriting everything must be correct. There are layers and layers of lazy writing involved here, it is almost admirable. Anyway! Rumple agrees and the potion saves him. Zelena returns to her life as “Marian” where Robin re-asserts his love for her and it is all terrible. In the present, Regina wakes up handcuffed in her vault. Rumple taunts her into calling Robin, “Marian” answers the phone and reveals herself as Zelena. Rumple explains that if Regina goes against him her evil sister will murder her true love and it is all terrible. Meanwhile, the Charmings and their pet pirate tromp through the woods looking for the Author. Snow and Charming are super needy, Henry and Hook are super silent, and Emma throws down the truthiest truth bomb of truth. Snowing try to justify their actions by saying they a) didn’t know what they were doing and b) have spent the rest of their lives being paramounts of good to make up for it and Emma tells them like it is: I am only the savior because you altered the entire state of my being at the expense of someone else’s soul.